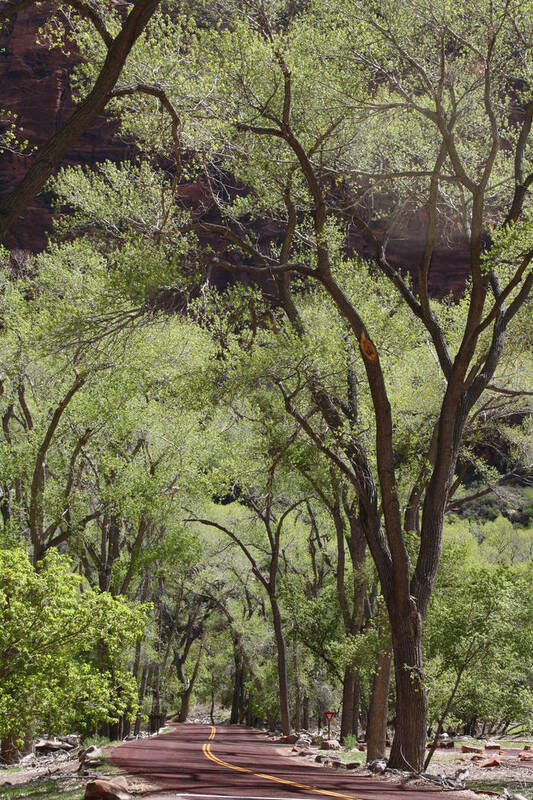 Zion National Park is a spectacular destination year-round, but spring is one of the best times to visit. Wildflowers are blooming in the lowlands, deciduous trees are starting to leaf out and the birds are singing their hearts out. While it’s a treat just to be there, you can make the trip educational as well, by signing up for a workshop or class with the Zion Canyon Field Institute. The institute offers workshops all year, but in spring the schedule is particularly rich. Be sure to make a reservation, as classes fill up fast. 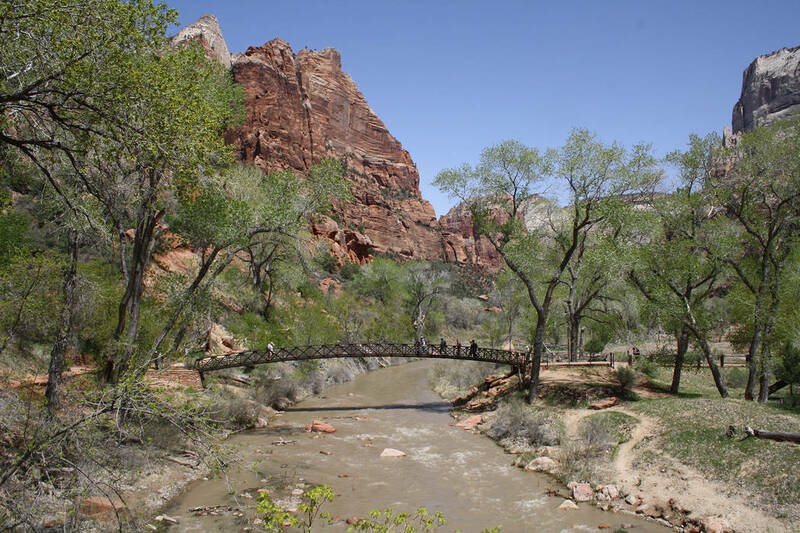 (Deborah Wall) A footbridge is used by hikers to cross over the North Fork of the Virgin River in Zion National Park in Utah. 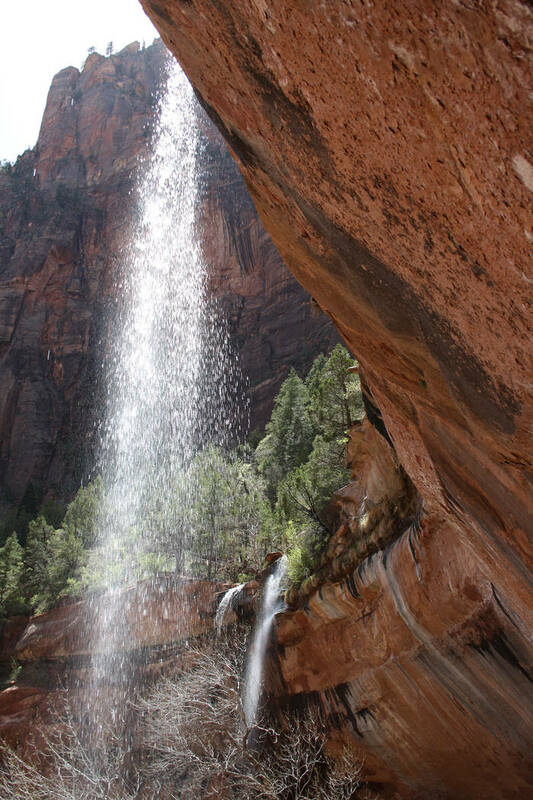 (Deborah Wall) In the springtime waterfalls are commonly seen in Zion National Park in Southern Utah. (Deborah Wall) Zion Canyon Scenic Drive follows the North Fork of the Virgin River in the national park. (Deborah Wall) High sandstone walls and monoliths provide a colorful backdrop along Zion Canyon Scenic Drive in the Utah national park. All workshops, except where noted, meet at the Zion Human History Museum. Here’s a look at what’s coming in the next few weeks. March 30: Spring Birds in Zion. This four-hour morning class involves observing birds along the Virgin River, the bench lands and lower slopes. Learn how to track year-round and migratory birds by ear. Be prepared to walk 4 miles on short hikes or one long hike. 8 a.m. to noon. Ages 16 and up. $45. April 6: Mojave Wildflowers. This full-day workshop takes place in the desert lowlands around St. George. Meets at 9 a.m. at the Bureau of Land Management office, 345 E. Riverside Drive, St. George, Utah. Ages 15 and up. $65. April 13: Low Desert Wildflowers. Because of its location at the intersection of the Mojave, Great Basin and Colorado Plateau ecosystems, the park is home to about 1,000 plant species. This time of year the lowlands of the park are often covered with wildflowers. Short walks or one long walk of about 4 miles. Ages 15 and up. 9 a.m. $60. April 18: Thursday Trek. Thursday treks involve an introductory look at the park’s flora, fauna, geology and cultural history. Easy hikes up to 4 miles or moderate hikes from 4-6 miles. Ages 15 years and up. 9 a.m. to 2 p.m. $45. April 18: Ice Age Phantoms. This evening presentation concentrates on the flora and fauna that most people wouldn’t expect in Zion, but which are nevertheless present. 7:30-9 p.m. at Canyon Community Center, 126 Lion Blvd., Springdale, Utah. Free. April 20: Zion and the Colorado River Basin. This four-hour morning workshop explores the human relationship with the Virgin River and the Colorado River Basin. Visit hydro-centric locations on the floodplain and learn about river management and riparian ecology. Must be able to walk a few easy trails or one totaling around 4 miles. 8 a.m. to noon. Ages 14 and up. $45. 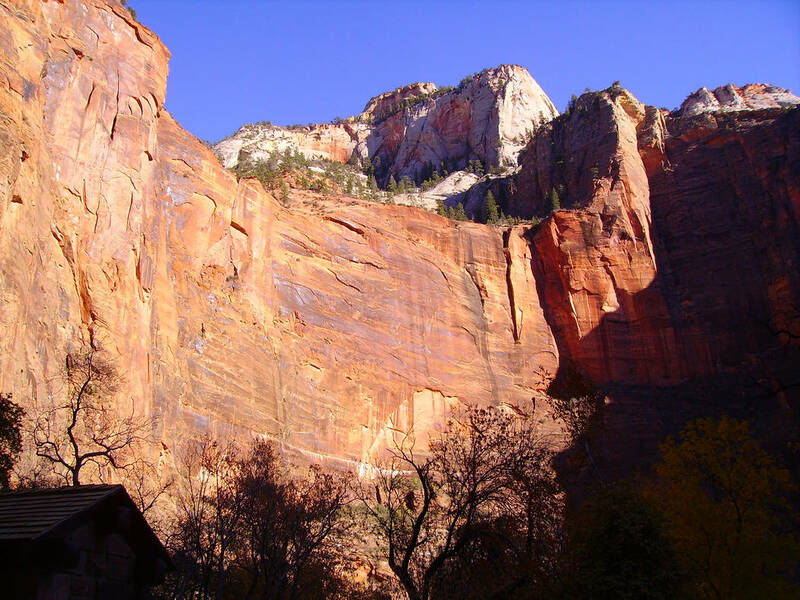 April 20: Zion Geology. This all-day workshop begins with an indoor presentation followed by a trail-side discussions on the geology of the park. Learn about the ongoing process of landslides, rock falls and geology and how water plays such an important part in shaping the canyon. Ages 15 and up. 9 a.m. to 4 p.m. $60. When visiting the park, wearing good walking shoes is crucial. Also bring warm layering clothing, hat, sunscreen, food and water. Binoculars always come in handy. For more information or reservations, call the field institute at 435-772-3264 or visit www.zionpark.org. From Las Vegas take Interstate 15 north 125 miles to Utah Route 9 (Exit 16 Hurricane/Zion National Park). Follow Route 9 east for 32 miles to Springdale, Utah, and Zion National Park.